Civil War soldiers had to suffer shortages of important materials and food during large parts of the war. Prices for items that were once affordable went up more than 100% during the course of the war, making daily staples difficult to afford. Meat was especially hard to find. It was so costly that many families simply could not afford it unless they raised the animals themselves. Even the basics of written communication, paper and ink, were sometimes difficult to obtain. In many letters from the Civil War era, soldiers ask their families to send envelopes and paper, as these items were sometimes impossible to get on the front lines. If the soldiers or families could not purchase paper or ink, they were forced to make their own. Making paper was a complicated process that included gathering wood pulp. Making ink was a bit easier, as long as the process started during the right time of year. Berries only ripen from late spring to early fall, so letter writers had to plan ahead. Many people gathered the fruit of the "Inkberry" or Glabra plant. Although the berries it produces are poisonous, they created a hardy ink that could be kept for a long time under the right conditions. Other berries used to make ink include blackberries, blueberries, raspberries and strawberries. Wealthier citizens and soldiers could afford to carry a manufactured "stylus" type pen with them. Others were forced to use feathers from various birds (such as chickens or turkeys) to create pens. If feathers were not available, pens could be made out of wood. Project Notes: Teachers who choose to use this activity should limit it to students above fourth grade. 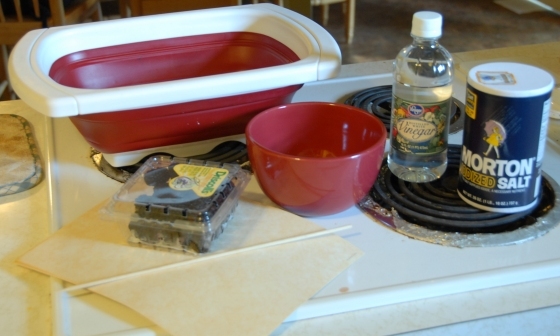 Parents who do this activity with their children should be present during the portion of the project that includes the use of knives or scissors. 1. Measure out one cup of ripe berries and place them in the strainer. 2. Place the strainer over the bowl. 3. 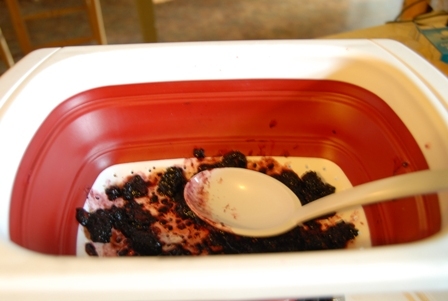 Use the wooden spoon or heavy plastic spoon to crush the berries in the strainer, capturing the juice in the bowl. Continue mashing berries until the only thing left in the strainer is berry pulp. 4. If you find that the juice in the bowl is too thick, add very small amounts of water until it is the thickness you desire. Be careful not to add too much water, as it will dilute the color of the ink. 5. Once the ink is in the bowl, add ½ teaspoon salt. 6. Add ½ teaspoon vinegar. 7. Put the ink in a jar with a tight fitting lid and let it sit overnight before use. 8. Sharpen the end of the feather so that it comes to a point. Split the end of the feather so that it holds the ink properly. Dip in the ink and write on any paper. 9. If you don't have a feather, you can also use a sharpened piece of wood.